Author and investigative journalist David Paulides has been drawing national attention to an unsolved number of human disappearances occurring in the national parks all over the United States and spanning a period of over a century. Paulides, a former police officer, has published five books and made appearances on the nightly Coast to Coast radio show to speak about cases that he says seem to defy logical and conventional explanations. His book Missing 411 points to 1,100 cases where people mysteriously vanished from U.S. parks. Many of them were experienced in forest hiking. There have been cases where children seemed to disappear right under the noses of their parents, and then found in places where they should not have been. In other cases people have been found but they are mentally confused, speaking of strange creatures that held them captive. Most of the victims were children dressed in bright colored clothes and ranging in age from two to 12 years. Others were elderly aged 74 to 85. Many of the children disappeared while they had dogs with them. In some cases the dogs came back but the children were never found. A majority of the disappearances happened at Yosemite National Park. Nearly every case happened in the afternoon. Another oddity, many of the places where disappearances occurred had the name “Devil” in them. They were names like: Devil’s Lookout, Devil’s Gulch, Devil Lake; etc. Also almost all of the disappearances preceded hard rain storms that washed out clues and made it impossible for tracking dogs to find a scent. Yet another peculiar part of this story is that military Green Berets suddenly appeared to assist in searches, even though they were never summoned and nobody could explain where they came from. Paulides said similar disappearances have been happening in the Philippines. He said when people prepare to hike into the Philippine jungle the natives warn them not to wear bright colored clothing. The colors appear to attract whatever it is that snatches people. The locals believe the abductors are what they call the Jin, a word they use for demons. Paulides told his radio audience that some of the cases he investigated are so strange he actually believes something paranormal might be involved. He used such names as Sasquatch, giant birds or even extraterrestrials. His willingness to accept such theories is apparently based on the impossibilities involved in some of the cases. For example, a two-year-old boy that disappeared in Yosemite in 1957 while a few feet away from the family camp site, was found 3,000 feet straight up a mountain. He was alive but suffering from dehydration, exposure, wearing only a tee shirt and one sock. Another two-year-old boy disappeared while visiting his grandparents in Ritter, Oregon in 1952. He was found unconscious in a frozen creek bed 12 miles away 19 hours later. To get there he would have had to get over two mountain peaks, which would have been impossible for such a young child to accomplish. In June, 2014, a California firefighter was camping with his dog in California’s Los Padres National Forest. He was last seen chasing his dog downhill toward a stream. When he didn’t come back, his friend launched an extensive search that included people on horseback and even the use of drones. The dog was found alive but the firefighter was found dead two weeks later. 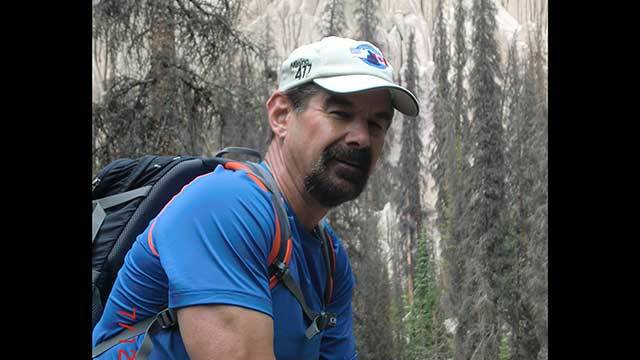 His body was lying about 1,200 feet above the river where he was last seen. His feet were bare. Perhaps one of the strangest cases involved a 21-month-old boy who went missing from his home in South Carolina. He disappeared with his dog while the mother was temporarily out of the room. She assumed he was in the yard but when she looked both the boy and the dog were not to be found. Authorities said a large open field surrounded the home with a thick woods located beyond that. Police were summoned and a major search was conducted in the rain. The boy was found the next day alive and well lying on a sandbar in the middle of a nearby river. A local helicopter pilot who was involved in the search said he had flown over that sandbar several times and did not see the boy.